When I was a little girl, I didn’t smile very much. People would ask what was wrong with me as they couldn’t understand why I wasn’t smiling more. Seems they believed I had a lot to be happy about. But, I continued to be the child who sat quietly, curiously observing the world, perhaps gathering stories that might become future articles like this one. Then as a young teen I was given the unflattering nickname “bucky beaver” by some mean spirited classmate. I’m sure you can guess what that related to. There was good news and bad news to this. The bad news was that a well-meaning dentist (maybe) told my parents that unless I had full top braces soon, I would forever have my bucky beaver smile. The good news—my parents couldn’t afford the braces and I was left to see what nature would do without any outside help. Lucky for me that my teeth had a mind of their own and I ended up with a smile that I’ve often been told “was sure to break many hearts”. I prefer to think that I haven’t done that. Now I find myself making up for lost time, smiling for no reason and I often notice that very few people smile “just because”. The majority of people who I observe, walk through their days with serious expressions plastered on their faces. In a conversation with my friend Nealon, the subject of the power of smiling came up. He related his own experience, telling me that in his journey to release 100 pounds of body fat, he noticed that when he would exercise, those around him had the most intense grimaces on their faces, as they went about their exercise routines. He decided to try smiling and actually found that his exercise program became almost effortless. He realized that those stressed faces might just be making others workouts challenging to stick with. And, he found that just by smiling often his hunger would go away. It seemed he was on to something here. After this conversation I started seeing references to the power of the smile everywhere I looked. I did my own research and found that this simple act, one that is free for all of us to do every minute of every day, has some very strong scientific evidence proving how smiling has a myriad of benefits not only for us, but for others as well. Smiling is like music, a universal way of communicating. There is very little explanation needed to understand what a smile means. Paul Ekman, the world’s leading expert on facial expression, discovered that smiles have the same meaning across all cultures, languages, and even time. On a Ted.com talk by Ron Gutman, I was happy to hear him reveal that many of us do in fact, smile fairly frequently. More than 30% of us smile more than 20 times a day and less than 14% smile less than 5 times a day. 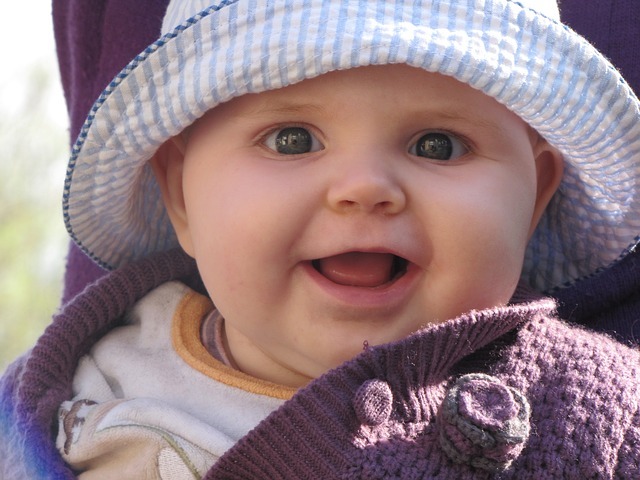 Those who smile the most, no surprise here, are children, who smile as many as 400 times a day! We are actually born smiling, as 3-D ultrasound technology now can show that developing babies appear to even be smiling in the womb. Great way to come into the world. Gutman’s own experience, like Nealon’s, showed him that the addition of smiling to his long distance running protocol, made a huge positive difference for him, leading him to then do extensive investigation into what he calls the “untapped power of smiling”. He found scientific studies that offered very interesting findings. One that I also found quite intriguing, was the UC Berkeley 30-year study that examined the smiles of students from an old yearbook. The study measured their well-being and success throughout their lives. Those with the widest smiles ranked highest in predicting, how fulfilling and long lasting their marriages would be, how highly they would score on standardized tests of well-being and general happiness and how inspiring they would be to others. I guess I should check if I was smiling in my yearbook pictures. For all the baseball lovers, a 2010 Wayne State University research project looked at the baseball card photos of Major League players in 1952. They found that the span of a player’s smile could predict the span of his life. Players who didn’t smile in their pictures lived an average of only 72.9 years, while players with wide beaming smiles lived 79.9 years on average. Being around someone who smiles can be contagious. Smiling stimulates our brain’s reward mechanisms in a way that not even chocolate can match. It has been reported that it would take 2,000 chocolate bars to provide the same level of brain stimulation as one smile! Wow, glad I practice smiling, as I don’t even like chocolate. Smiling can actually make you healthier, too. Among the numerous benefits of smiling are the therapeutic effects of reducing stress hormone levels (like cortisol, adrenaline and dopamine), and increasing health and mood enhancing hormone levels (like endorphins) and lowering blood pressure. Psychologically, smiling has many positive benefits too. When we smile, we appear more likable and polite and we’re also perceived to be more competent and dependable. And, it’s actually easier to smile than to frown. A smile only takes seventeen facial muscles but a frown, needs forty-three. Smiling makes us look younger and more attractive too. Remember that your smile has to be genuine, from your heart, because the human brain is psychologically programmed to spot a fake one. A spontaneous and authentic smile has to have some wrinklage around the eyes. As the saying goes….keep it real. A great story a friend related to me was about her friend who was going to a high school reunion and was anxious, yet nervous, about reconnecting with a long lost boyfriend. Seems he was wanting to connect with her too, and the moment of recognition happened when they smiled. They knew each other by their smiles, even after all the years. When I first heard about Operation Smile, I was very touched by the work they do with many of the 200,000 children born with severe cleft conditions each year. These children often are unable to eat, speak, socialize or smile, so this charitable organization offers surgery that “heals children’s smiles”. The joy I witnessed on the face of a child who after having surgery, can now smile, was very inspiring and made me wonder why those of us who have the option to smile whenever we chose to, often do not. Personally, it makes me realize how happy I am to have found the power of smiling in my life and I plan on continuing to make up for any time lost from my youth. Smiling is powerful, so pass one on. Keep smiling and remember the words Louis Armstrong sang… “When you’re smiling, the whole world smiles with you”. How often do you smile? I’d love to hear what it is that makes you smile! I believe that I wake up smiling. Ok actually it may be after my first cup of coffee but It is difficult to get one off my face. Sometimes smiling actually gets me in trouble because people mistake it for flirting or something of that sort. There is so much in this world to smile about. Years ago when I had a major knee surgery and was in extreme pain, I smiled a lot. The reason was simple, the pain and the events meant that I would be able to walk better soon. While it hurt so much I knew that it worked and that made me so grateful. Wow, Renee, you have such an incredibly positive attitude and disposition! You remind me of my mother who just turned 100 and has a “Talk Yourself Out of It” mindset which has taken her very far in life. The world can definitely use more smiles, so the fact that you are one of the “smile givers” is a beautiful gift you are offering to others. I love hearing how even in pain and while suffering, you smiled because the ultimate result, was something you could feel into in the future. It’s wonderful to hear that it worked and sounds like you are a very grateful person overall. Kudos to you! A nice article as always. 🙂 A smile can indeed make the difference, and make you feel much better. So smile and have fun every day. Beverley – I’d never heard about the study from Berkley or Wayne State before. I will definitely share this with others – I think it’s wildly interesting. I’ve always noticed that my youngest son smiles much more than the rest of us in the family, and I think he’s much more happy, charismatic, and more approachable than the rest of us. I mean, if we’re out on the interstate & the car breaks down, he’s the first one to start smiling about the situation. I wonder if he’ll live the longest because of it! Glad you found the “smiling” research interesting, Joan. It certainly speaks volumes to how our attitude and disposition go a long way in contributing to our overall health and longevity. Like your son, my mother is always smiling and seems happy. She doesn’t let things get her down and she is highly social as well. It must work, as you know, she just turned 100! She is doing something right. Sounds like your son is a naturally social and happy person too and based on the research, he might outlive a lot of other people who don’t share his positive demeanor! That’s a great attitude to live Kristen! Smiling does make a lot more sense then not for sure. It brightens your day and obviously it brightens the day of the people on the receiving end. It sounds like you have a naturally sunny disposition and I commend you for laughing and smiling even in the tough times. Very admirable! My husband and I recently celebrated our 25th wedding anniversary and, as I was looking through our wedding photos, I saw him looking at me with a smile that I still recognize today. One of those “just between us” smiles. Thanks for bringing it up again! Carol Rundle recently posted…Are You or Someone You Love Sick? That is a beautiful “forever” memory, Carol and I appreciate you sharing it. Many happy more years together and I wish you that special smile between the two of you as a lasting treasure of your love for each other. It beautiful to hear how many of your memories bring smiles to you Lisa. I believe that is a great way to live life…letting your memories to your “happy” fuel. Thanks for sharing about posture as well, as it makes sense that when you stand tall and erect, it helps to keep your inner energy flowing and you literally feel better because of it. Great post! I think smiling — like hugs — is the great, eternally renewable resource. Interesting research on longevity, too. One of the things that always amused me in the newspaper business was when we ran pictures of the local football team. Not a single one of them was smiling. Finally my sports writer told me smiling footballers don’t look fierce enough. You’ve got it right Jackie. Smiling and hugs are both fully renewable just by virtue of being alive! The research on longevity is interesting and my mother at 100, certainly substantiates that. She’s always been a smiley, happy lady. Maybe those football players could learn a lesson from the baseball player study, as seems the smilers on the team, also lived the longest! There was a short spell of time when I wouldn’t smile for photographs and grimaced when I met people, Beverley. It was more to an 8 year old Little Vatsala being conscious of her new adult front teeth coming out and feeling too self-aware. Fortunately my face grew bigger and I started smiling again. For those of us who are known as happy smiley people, others do notice when something is amiss. I remember shortly after my Dad’s death and I was working out my notice at my employer’s in Jamaica to return home to my Mom, the tea boy asked me if I would ever smile again. My response at the time was affirmative with time but it struck me that a simple smile and greeting in the morning meant something, at least to 1 person. Great story about how your non-smiling face actually was noticed by someone Vatsala. I know that smiling is easy to do and yet so often we “forget” the impact that we are having on someone else because we just do what we do without hearing any feedback about it. As a young girl I rarely smiled and now I cannot imagine not smiling, so like you, something changed along the way. I love smiling in pictures, as it truly lights up my face and that is one of my features that people seem to notice about me. I now feel I look very dour without a smile on my face and yet at times I “catch” myself with a very serious expression on my face and have to remind myself to stop and smile. Especially as most of us look much more attractive when we do! Love hearing that you and your daughter (I think it is your daughter), both have your dad’s smile. I know myself and my daughter also have my father’s smile and I love knowing this. He had such a very mischievous smirk and I loved seeing him smile. Thanks for sharing your tip about smiling to help refocus your mood in your day too Lisa. It sounds like something that works and it might be a good one for me to try too! We all have those moments and those days, so if smiling can shift it, it makes sense to do it! When I was younger I wasn’t much of a smiler. I was more the brooder, deep thinker type. However, I learned an important lesson that whenever you are on the phone or doing any kind of remote broadcasting, if you smile your voice and personality will be much stronger. Now, I’m more ready to smile at any time. I can totally relate to being a brooder, deep thinker type Joyce. I am not sure when I shifted how I was, I only know that smiling certainly beats the alternative and it has so many health benefits too. It is true that when you smile when you are having a conversation, it shifts the energy of the conversation and the other person can “hear” the smile in your voice. My daughter has been told this when she goes for voice auditions, as a smile while talking, changes everything! I know that someone smiling at me when I have had a less than perfect day can change everything. A little smile, a little laugh and I find my entier being is changed. Such power. Glad to know there is science behind it too. Love the smiling baby. Just had to post this to my Pinterest “happiness” board. I think you are right Christy. And it goes both ways. Receiving a smile is powerful, as is giving a one as well. Our entire energy can shift just by something as simple as receiving a smile from someone and we have that power to give as well. The science is wonderful confirmation too, I agree with you. Thanks for sharing this via your Pinerest happiness board too! My family and my friends always make me smile! And my dog. Always. I also am a very happy and grateful person, and I find myself actively smiling at people I see during the day, almost like a challenge to see if I can get them to smile too! That’s a great challenge you have given yourself Kimberly! I think a smile is a great gift to give to others and yet so many people walk through their day without even thinking of it. My daughter’s animals also make me smile all the time, as does seeing something in nature, like a beautiful flower or bird or even a squirrel. With all the benefits there are to smiling, it is a great practice to embody in our daily lives. I am so one of those people who smile for no reason! Well.. only apparently, because in fact, in my mind and heart, I always have something to thankful for, and a small thing to be grateful for. I my books, this is something for everyone to try and do as much as possible, because it becomes second nature. Loved the photos chosen too, Bev! You do seem like a naturally happy and grateful person, Delia, which is lovely as it makes life much more enjoyable for you and those around you too. And I agree that we can shift our energy and our own mood, just by smiling, even if there is no one to receive the smile. It can do wonders for us and our health. Appreciate hearing you enjoyed the photos as well, as I think seeing smiling faces can be contagious even from a photo! I love this! Just reading this made me smile. I work often by myself and realize sometimes I forget to smile. So I make an effort to smile and it makes me feel better. I heard somewhere that smiling while talking on the phone actually can be heard in the conversation. I’m not sure if it is true but I did try it and it nade me feel good. I think we do have to remind ourselves to smile when we aren’t with people, Sabrina. The difference it makes in us overall, is quite incredible. Just as I’m typing this, I switched from smiling to not smiling and I could feel the energy in me shift immediately. It is true that when you are talking with someone, if you actually smile while talking, the person on the other end can “hear” that in your voice. My daughter is an actress and when she does voice auditions, they also say that if you smile when you read your lines, it makes a difference in how you are heard. I had no idea there were so many benefits to smiling. I smile a lot because when I was growing up I learned that my natural expression was a downer. So I began smiling then. Also, when I told my dad that another child in my class always stuck her tongue out at me, he suggested that I smile at her. I didn’t want to but I did and she smiled back! Now I smile at passersby and certainly everyone I know and I feel better for it and they tend to return my smile. Amazing to hear how we all find our “smiles” Beth. I am not sure when I started smiling, but I do know people would ask what was wrong with me and why I didn’t smile more when I was young. I had a very serious expression on my face most of the time. It’s wonderful to know how we can change ourselves and others, just by something as simple as smiling. Yes, the benefits are definitely rewarding too. What a wonderful post! I knew smiling is good but I had no idea so many specific studies had been done on it – so interesting. Music makes me smile, my little Goddesses – even just thinking about them does it, my little dog, Hubby, friends, great reads like this…there are so many reasons to smile. Without having ever met you, I always get a sense that you are a very happy, smiling person, Tami. My daughter’s animals make me smile and so do children. Music is a big one for me too, so I do relate to that in a big way as well. Glad you enjoyed this post and that it offered some insights into the powerful benefits of smiling! I love to smile. Every day, we have to decide how to use our energy, and if we use it for good things, it will multiply. If we use it for bad things, it will drain us. So I decided a long time ago that when I wake up in the mornings, I would apply my whole being and my energy into the day. I am known for my smile–when I am out and about, driving, walking, interacting, doing nothing… Just smile a little smile. That’s a beautiful way to walk through the world, Rachel. Using your energy to positively impact others is a wonderful gift to give. Smiling is one of those things that is so easy to do and yet sometimes we have to remind ourselves to do it. It’s amazing how it benefits both ourselves and those on the receiving end. And I love the pic of you girls! Ah, this is lovely! I am a chronic smiler and over the years have noticed that I’m much more flexible than my frowny friends. Things don’t get to me so much. And I’m blessed with many people and things that make me smile often. What a lovely testament to the power of smiling, Lori! We sound like a walking example of how being a chronic smiler, can impact your life and the life of those around you. Thanks for sharing and it sounds like you are blessing many people as well as being blessed. The power of a smile. It’s funny that you mention smiling while exercising because I never smile during exercise…I am so intense. Our trainer tells us to “fix your face.” Lol! It takes too much energy and too many muscles to frown our faces. I find when I smile my mood improves. My fiancé makes me smile, my family makes me smile, knowing that I have touched someone’s life makes me smile. Interesting to hear that your trainer tells you to “fix your face” during your workout. Maybe you could try fixing it in a smile and see if that changes the energy without the intensity. 🙂 It is so lovely to hear how your fiancé and your family make you smile and how you touching someone else’s life, also makes you smile. Smiles are powerful energy! Love this Beverley – the power of smiles is truly amazing. One smile can break tension, set people at ease, and change the entire vibe in the room. So many times I’ve found that when I smile at someone, or receive a smile from another, the dynamic of the conversation shifts. Even when delivering difficult information, a smile can let the other person know you’re on their side. The smallest gestures can mean so much. So true, Deb. One smile can shift a mood uplift someone who is having a down day and truly transform at a basic human to human level. Soul to soul. I’ve also discovered that someone who enters a room smiling is often the one to shifts the energy and focus of a previously tense room. Smiling is a great gift, both to ourselves and to those who we share ours with! Love your comments here, always, Deb. I will definitely be smiling through my workouts from now on. Who knew? Down with “no pain, no gain” mindsets! I’m going to start enjoying my exercise. Love it! Smiling is the universal language of life and is so infectious. It’s really funny but I had a similar experience to that of your friend Nealon Hightower. This morning while out walking, an unfamiliar gentleman was coming towards me. As smiling is very natural to me, I flashed my gummy smile at him and said good morning. You could see he was taken aback but his response mirrored mine and he returned a lovely smile to me! This happens very often with me and I’ve seen how smiling really does break down barriers right across the board. Smiling warms the heart and feeds the Soul. When you smile from the inside side, it has the capacity to light an entire room. People naturally gravitate towards you when you smile and a smile seems to be a feature that is remembered, (and cherished) even when the details are not. A smile is so powerful that you can feel it virtually or over the phone despite never having met the person in the flesh. I do agree with you Beverley, fewer and fewer people smile just because. It saddens me that our world is becoming so busy and demanding that we no longer have the time or inclination to smile at each other. I totally love the graphic of your family smiling from cheek to cheek, it is so endearing and reveals a beautiful connection you all clearly enjoy. Michelle Williams recently posted…Why Self-Love Should Be The Centre Of Your Life! I so get you and I truly enjoy all of your writing. How wonderful that just a smile can transform the world! For myself, I love to smile. And I do all the time. Even if I’m sad, I look for a comedy to make me laugh, or smile a bit. Though when I’m truly sad, I find it difficult to even crack a slight smile. And I’ve noticed that when the bullies out there want to put someone down, they start by stopping you from smiling, then there’s a chance for further put-downs, opening the door for violence. Our natural state is to smile all the time. It opens our heart to life and it’s beauty, and it is reciprocal as it also allows other people to enjoy life through us, and our smiles. Thanks so much for sharing how this post and smiling, impact both you and the world around you, Rene. I wonder what would happen if in the face of even the most dire of situations, we all stopped for a moment and just kept smiling? Would it enrage the other person, or would it actually transform the situation? I know how wonderful it is to receive a smile from someone and how it makes someone feel when you smile back at them. I flash smiles a lot, as I know I look much younger and better when I smile. 🙂 This wasn’t how I was when I was younger and now I wish I would have smiled more. As you recognized, our natural state is to smile and we witness this all the time on little children and babies. They smile for no reason. I think it is something all of us can remember and take into our day to day lives. Thanks for always supporting and sharing such great insights, Rene! Very appreciated. Today is painful to smile as I chomp down on a gauge pad helping a blood clot to form where there was once a crown. But here I am again, back in front of the computer & I have noticed my smile as I go thru my daily tasks of connecting to new and familiar pages, tweets & posts. What impresses me about this blog is that there is research available about smiling. Makes me wonder if there is any topic that hasn’t been studied and talked about. The smiles on the faces of your beautiful family is lovely to see again. Sorry to hear that your smile is dampened today, Roslyn. And yes, being in front of the computer definitely can stop us from even thinking about whether we are smiling or not. Happy to hear that you are more conscious of your smile frequency as you go through your day and that the research added something to your information bank too. And yes, I would imagine that there is research on every topic. 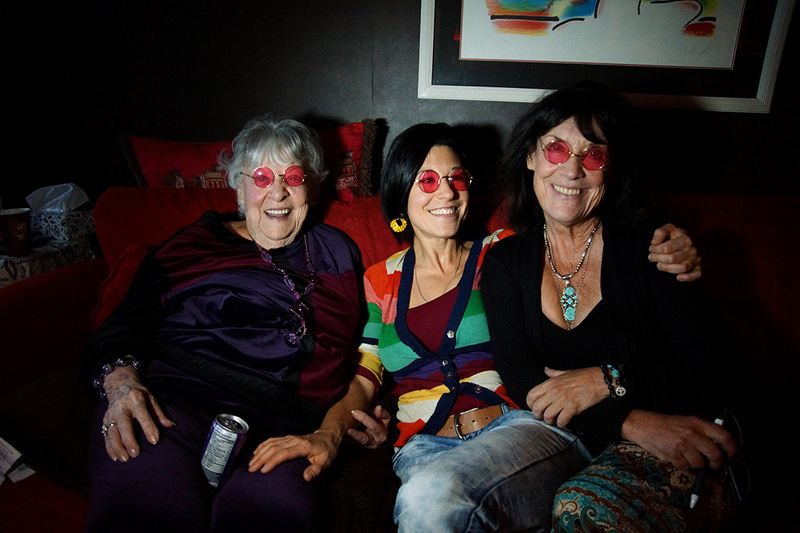 Thanks for the compliment on the rose-coloured glass picture of our three generations too! Beverley, you’ve had just made me smile! Fantastic article! I once had a bus driver on my morning commute who gave me the nickname smiley, I guess I was the only one to give him a smile at 7:50am on a Monday morning! I think he really appreciated that it wasn’t all frowns. But you know what between then and now a lot happened in my life and if I think about it I’ve stopped smiling. I think that’s why Iove being around children because they bring a smile naturally to me, it doesn’t feel forced. Thanks for your very sweet energy in replying to this post, Sasha! I could feel you smiling across the computer. 🙂 And yes, I think many of us get used to not smiling and all we need is a gentle reminder to ourselves, to stop what we are doing and smile! For ourselves and for others. I’ve often noticed how very few people take the time to smile at someone else, so I have learned that by flashing a smile, the entire energy can change for us both. So happy to hear that you have revisited your inner childhood “smiley” and that you can call on her anytime now. Appreciate your enthusiasm and many thanks for sharing your “smiley” story too! I always heard that we should laugh as much as possible. Not much has been said about smiling. I’m alone most of the day, in front of my computer, but I think I tend to smile as I read people’s posts, pages, blogs. I intend to pay attention to how frequently I smile. Like you, I find myself smiling at the posts or comments as I sit in front of my computer most of my day, too. I think the value of smiling (even when we are alone) is worth considering and I look forward to hearing how many times you find yourself smiling daily, Roslyn. Thanks for reading. And saving the site. Going to put this artcile to good use now. Great to hear Amberlee! Smiling is so easy to do and it can really have a positive impact on others as well as ourselves. Thanks for your comment. I would like to express some thanks to you just for bailing me out of such a crisis. After scouting throughout the world-wide-web and getting strategies which are not pleasant, I was thinking my life was gone. Existing without the solutions to the difficulties you’ve solved through your entire post is a serious case, as well as ones which could have in a wrong way affected my entire career if I hadn’t come across your web site. Your actual ability and kindness in taking care of a lot of things was excellent. I’m not sure what I would’ve done if I hadn’t discovered such a thing like this. It’s possible to at this time look ahead to my future. Thank you so much for this reliable and results-oriented help. I will not hesitate to endorse the sites to anyone who needs tips on this problem. Dylan….I’m delighted you found this article and that you found something in it that spoke to you and sounds like it helped you. This is amazing to hear and I’m happy you shared this with me. I’m smiling. 🙂 Hope you are too.